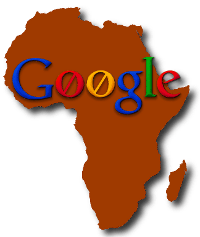 This is yet another post in a series in which I have the temerity to offer Google my unsought armchair strategic advice on what they should be doing in Africa. In May of this year, I was over the moon about Facebook launching Facebook Zero, a service which offers free text-only access to Facebook including messaging. If you click through to an image or other service and you pay but for the basic stuff it’s free. On this continent, where the cost of access remains a barrier to innovation, that is pretty incredible. Part of the reason it is so incredible is that Facebook doesn’t have staff in Africa. They don’t have an African programme or a programme manager for Africa. The closest office they have to the continent is their European office in Dublin, Ireland. Yet, they figured out what so many other companies, projects, social movements and development agencies didn’t, namely that the cost of access is the dominant factor for online participation in Africa. Facebook Zero hits that issue directly on the head. Unfortunately you get all the rest of Facebook with that which may or may not be ok with you. Right now though it has the potential to be a serious hearts and minds winner on the continent. Back in the United States, Facebook has just outstripped Google as the most visited site in the country. Here in Africa, Google and Facebook are pretty much neck and neck. Google have been doing some amazing mapping work; they’ve done some great capacity building of varying types; developed innovative applications; sold some advertising, etc. Some of the stuff they are doing like the Google Global Cache is making a real difference. They’re pretty busy in Africa. But the fact remains that Google does not take Africa seriously. Let me explain. First let me say that by Google I do not mean any of the many remarkable Google staff who live and work in Google offices around the continent. I mean whoever is pulling the levers on Google’s Africa strategy. Africa is not a profit centre for Google. Nobody’s job is on the line if Google Africa doesn’t meet their advertising revenue targets. I think this is done with the best of intentions, perhaps to give Google time to better understand the environment they’re working in or perhaps to allow infrastructure to improve to the point where sufficient traffic exists to class Africa with other regions. Whatever the reason is, the downside is that then it doesn’t matter if Google’s strategy in Africa fails. It’s just Africa… failure is expected. But not necessarily. If Google were to try something as audacious as Facebook, to zero rate a text-only interface to Gmail and Gchat, a Gmail Zero if you will, that would open up interesting possibilities. Perhaps one might argue that Facebook is already there with its messaging and chat services. But I think a Gmail Zero would have a different application. I can see Gmail as the entrepreneur’s tool of choice. Facebook is still to much of a walled garden to be as profoundly useful as a standards compliant email account. That would really get the bits flowing and where more bits flow… more ads flow.